We have now reached the highest peak of the Church year - Pascha. But that doesn't mean we have to start going down hill. 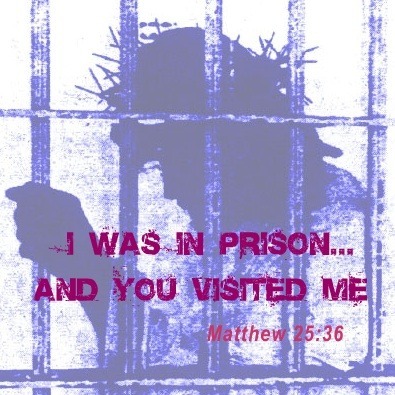 We can continue to practice the virtues of charity and of prayer in our Kairos Prison Ministry. The team needs a lot of cookies - about 80 dozen, and baking some of them is truly an act of charity. But we also ask our bakers to pray over the cookies as they are baking them. Unless you sometime enter a prison, it is hard to imagine the impact the cookies have on inmates, especially those who have no faith. Truly, baking cookies is an act of evangelizing. The weekend will begin on April 26, which means we need to get your cookies to the church hall by Sunday, April 22. As in the past, you may bake most any cookies you like, but we suggest you avoid powdered sugar (It looks like a drug.) But there is one big change this year - The prison has asked us to limit the number of cookies coming into the camp, so we are to package the cookies ONE DOZEN per gallon plastic bag. Our team thanks you all for your help in making the weekend possible. One small clue to how the cookies affect the prisoners: Many inmates refer to them as "the Jesus cookies." Isn't is awesome that even unbelievers are looking forward to receiving something from Jesus? We also would like to ask your help in getting empty boxes - the kind that copy paper comes in. We need these to pack the cookies in. It is important to have both the box and the lid. And if you have ever wondered whether the ministry bears fruit, a couple months ago I learned that a Kairos grad had just been chrismated into the Orthodox Church, and we are now working with another man who is asking to learn more about our church. Thank you, everyone, for your help in this ministry.